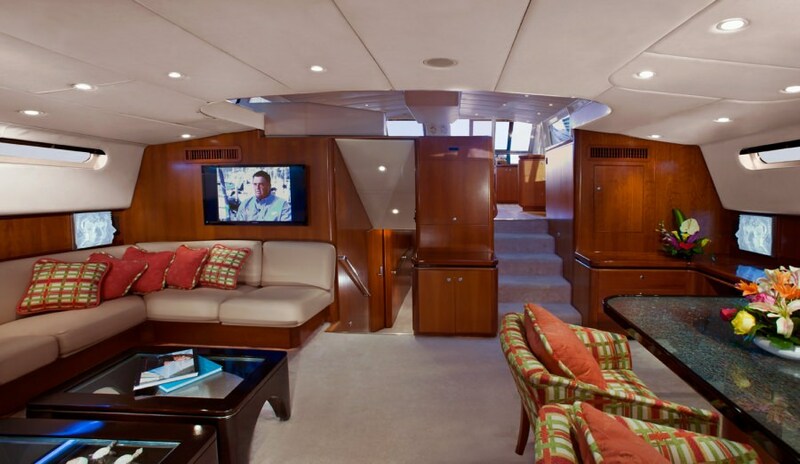 Cockpit with 2 steering stations aft of seating/dining area for 6 - all fully covered with bimini shade. 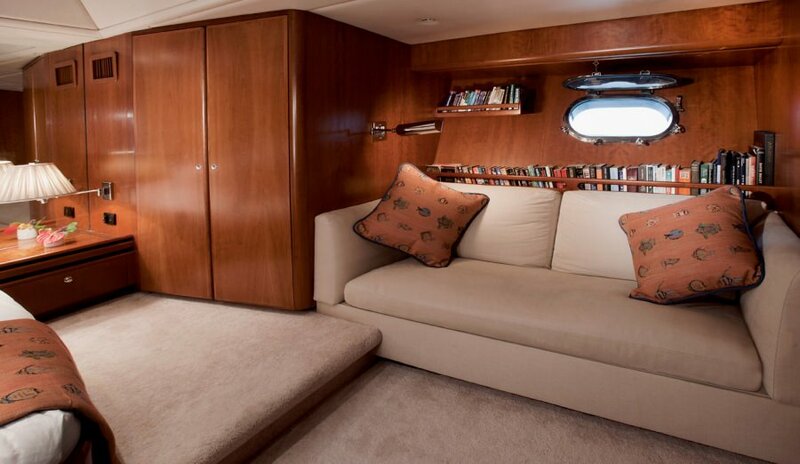 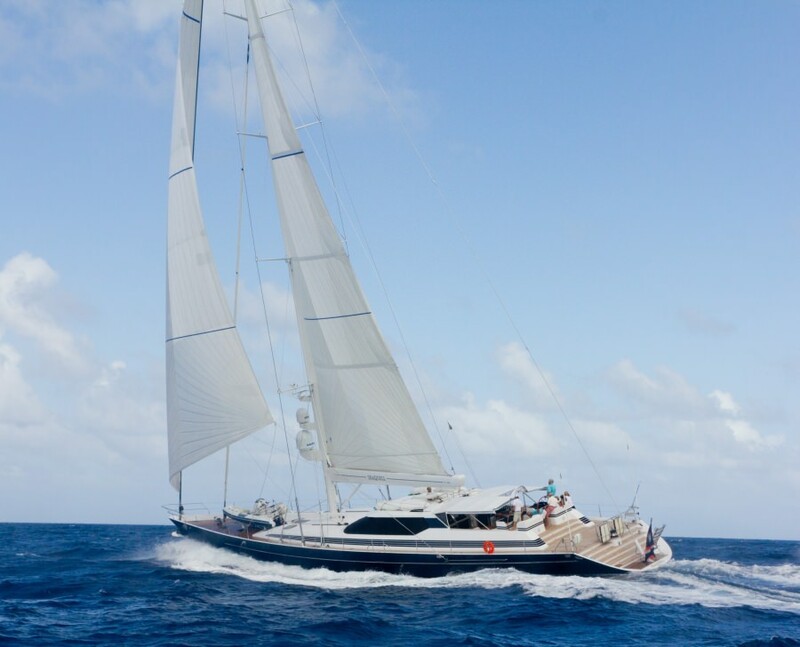 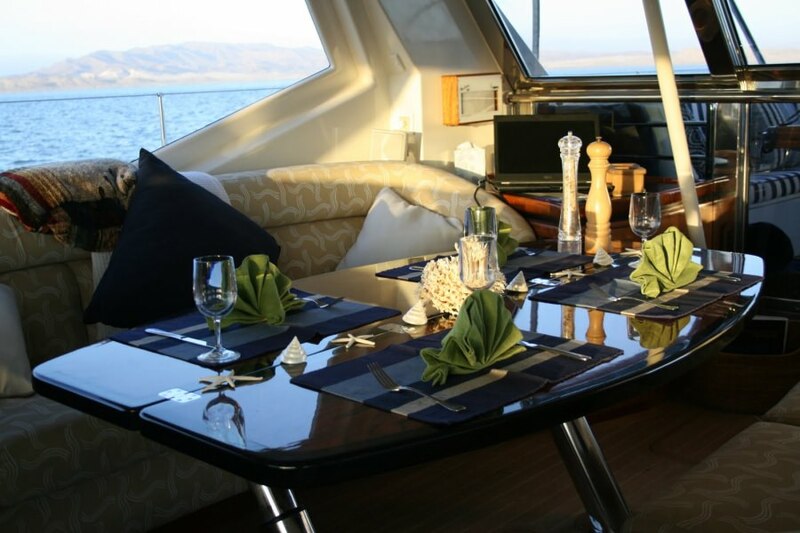 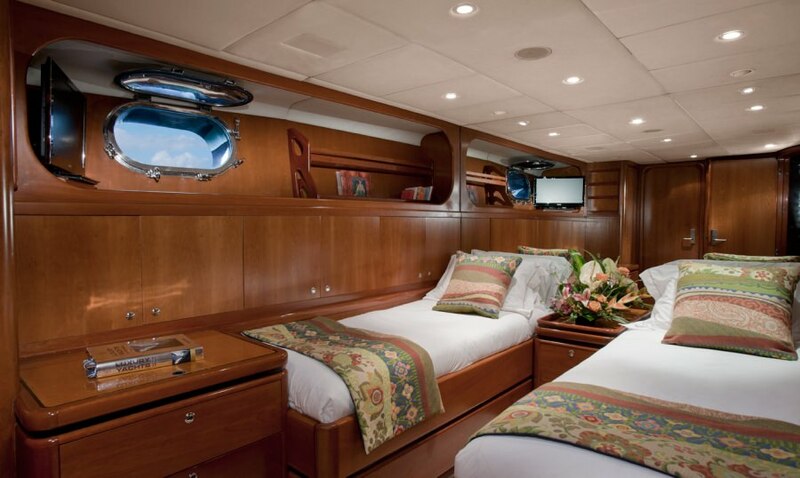 Pilothouse with seating area including 2 inboard facing sofas, bar fridge, ice machine and liquor cabinet. 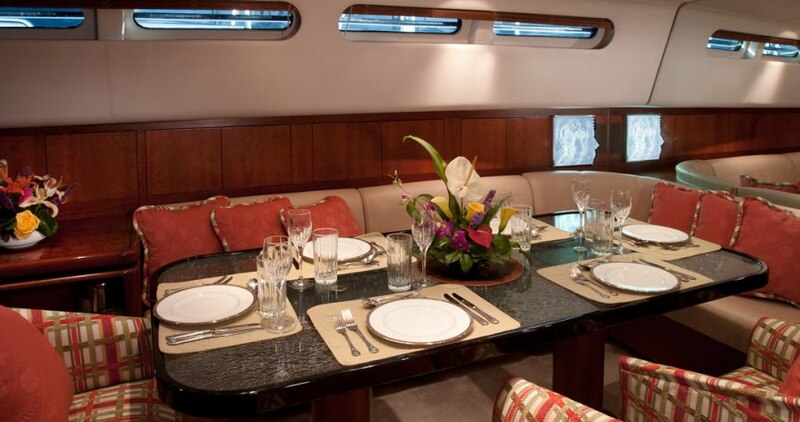 Salon with dining table for 8 to port while to starboard there is sofa seating around a TV with DVD, Blue Ray and SAT TV. 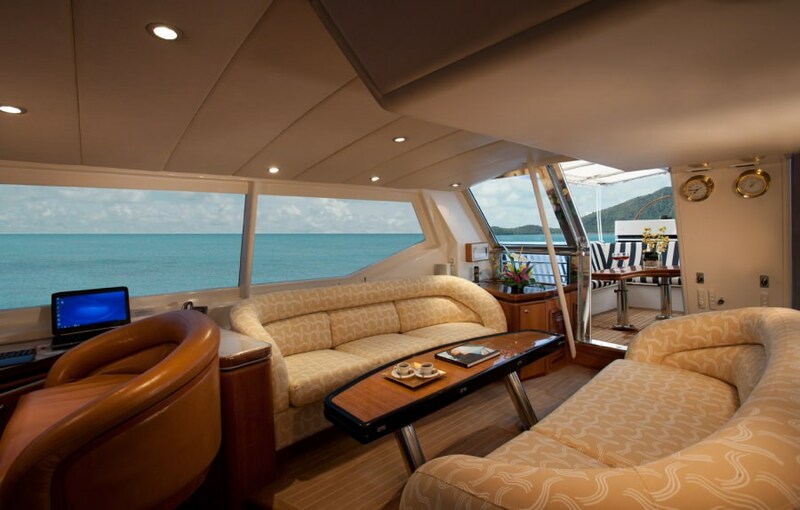 Aft deck before swim platform has a 6 person custom Jacuzzi with plenty of sunning areas on either side. 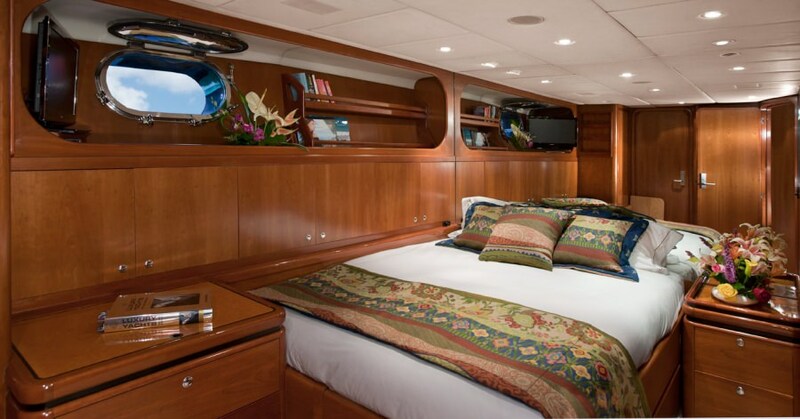 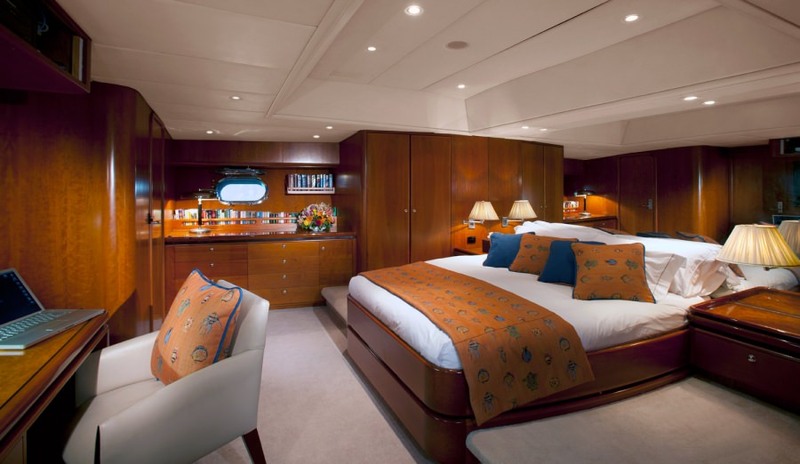 Port "Mediterranean" Cabin with a double bed, vanity station and sofa.